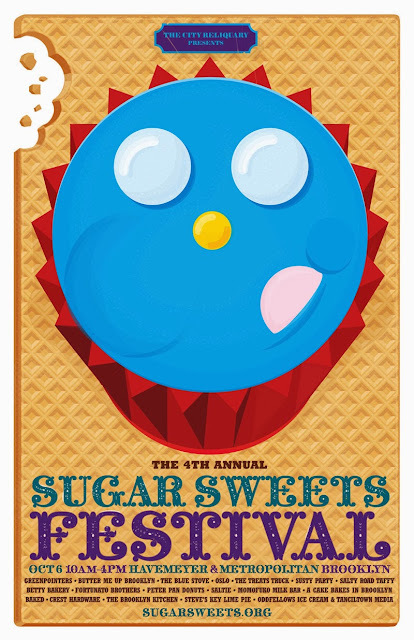 A Cake Bakes in Brooklyn: Sugar Sweets Festival on Sunday!! New Yorkers who like sugar are invited to Sunday's fourth annual Sugar Sweets Festival at the Brooklyn Reliquary in Williamsburg. I'll be there and, according to the event's website, will be presenting "Historic Dessert Curiosities." Not exactly sure what I'll be doing, but I'll be baking up a storm Friday night and sharing the treats on Saturday at about 1 p.m.. The event promises to be fun for the whole family, so come on down.